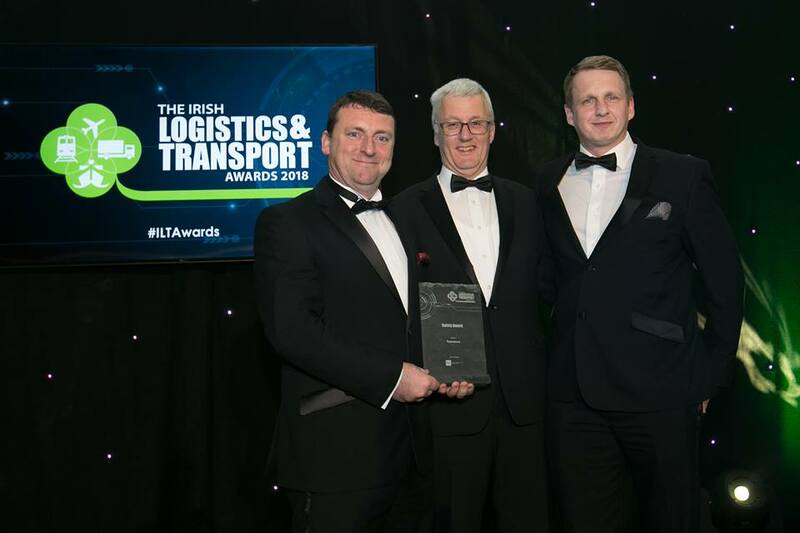 We were absolutely thrilled to scoop the ‘Safety Award’ at the Irish Logistic Transport Awards on the 12th of April 2018. We were also shortlisted in two other award categories; ‘International Achievement’ and ‘Innovation in Technology Systems’. Winning the ‘Safety Award’ was an important milestone for us. Driver Safety is very much at the heart of our company vision and what our solutions aim to do so it is great to get recognition through this award. The award itself recognises organisations who have demonstrated the best commitment to both Road Safety & Occupational Safety throughout the year. This include programmes which lead to a demonstrable improvement in safety standards either within one organisation, trading partners or the wider community; particularly those which are sustainable, transferable or which demonstrate an innovative approach. Our Shane and Liam were delighted to accept the award on behalf of Tranzaura and to enjoy an evening with others in the transport and logistics industry. Winning the safety award is testimony to the hard work and dedication shown by all of our staff.”, says Shane (COO). “Safety is a core component in all of our Transport Solutions, but in particular our newest solution ‘Driver Connect’. We have high hopes for this solution and believe it is a unique and innovative solution for the industry in terms of improving safety awareness and behaviour amongst at work drivers.